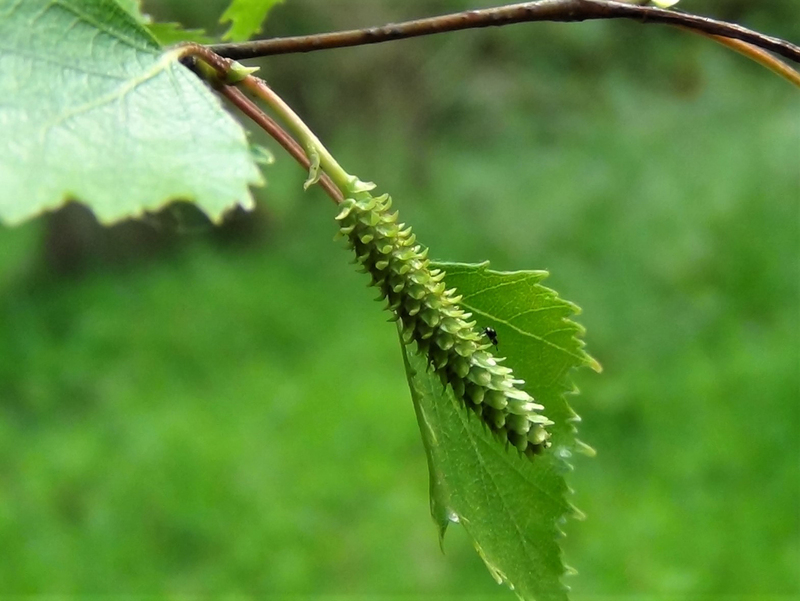 Female catkins on a Birch in Spring. 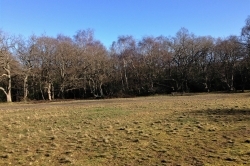 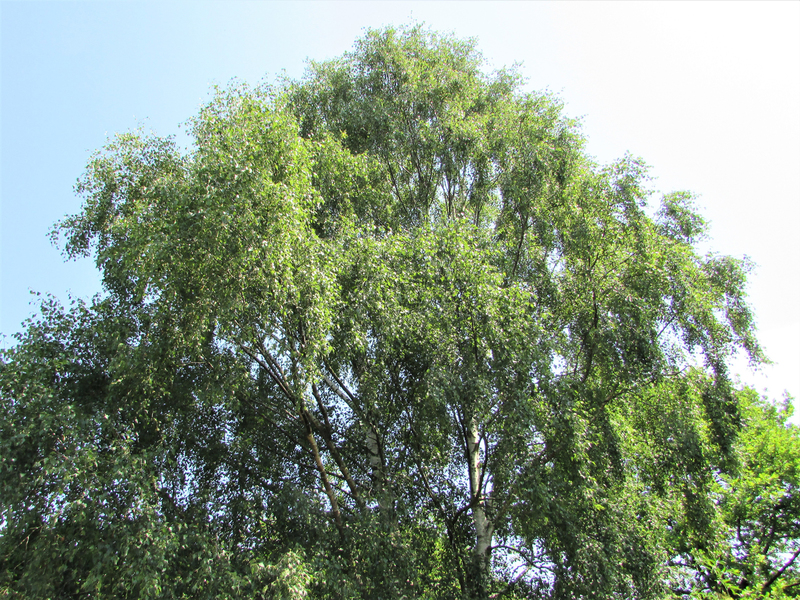 The Birch is a pioneer species and was one of the first trees to colonise Great Britain after the last ice age but short lived so it helps form woodland but is soon overtaken by other trees. 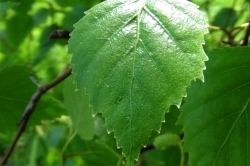 Green, generally ovoid although sometimes bluntly heart shaped with serrated, sometimes doubly serrated edges. 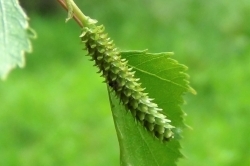 The male and female catkins look similar with the male catkins being thinner and generally longer than the females. 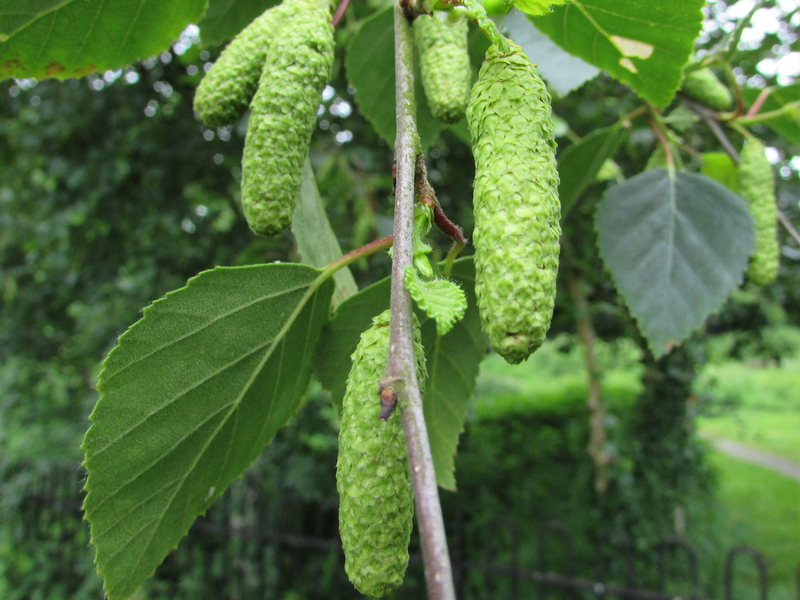 The female catkins are a bit shorter and thicker than the male catkins and both appear in April and May. 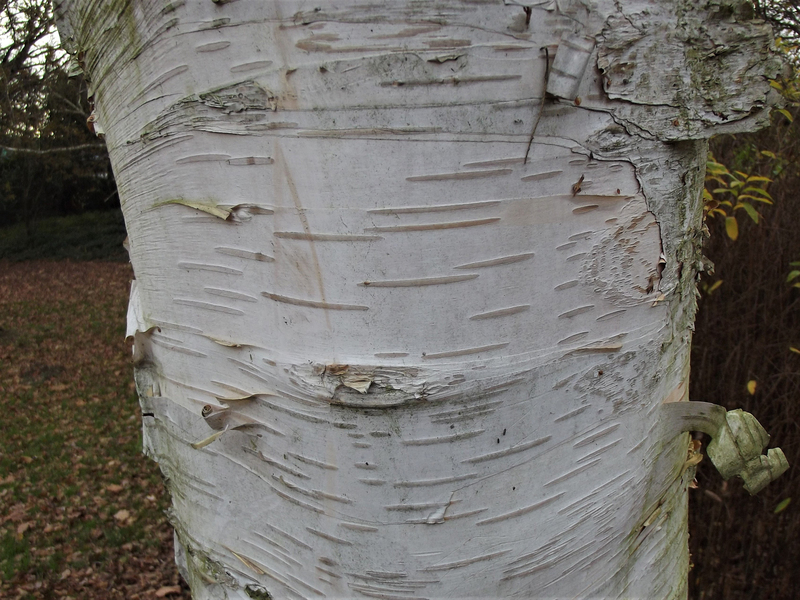 The bark of the Silver Birch is very distinctive and can appear smooth silver or white with horizontal striations when young to having deeply grooved black, rough, patches as pictured. 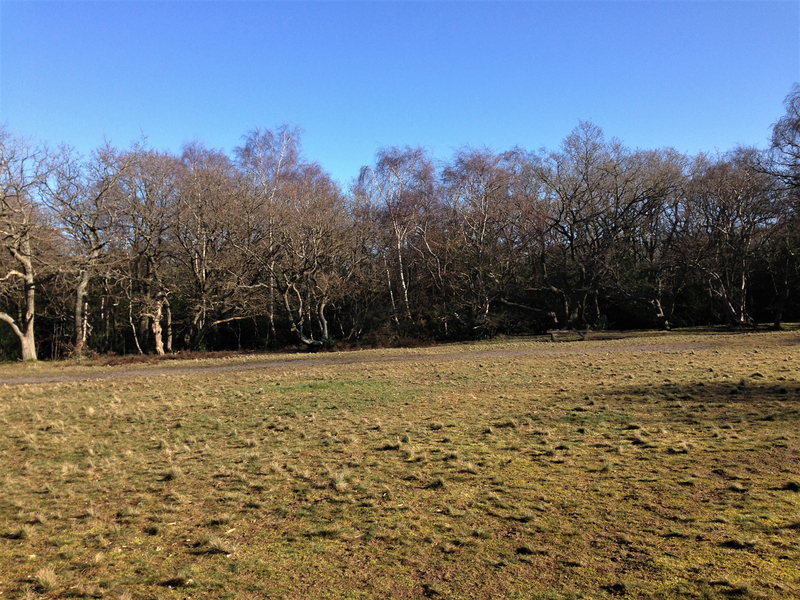 Woodland, parks, hedgerows, gardens, avenues and waste ground. 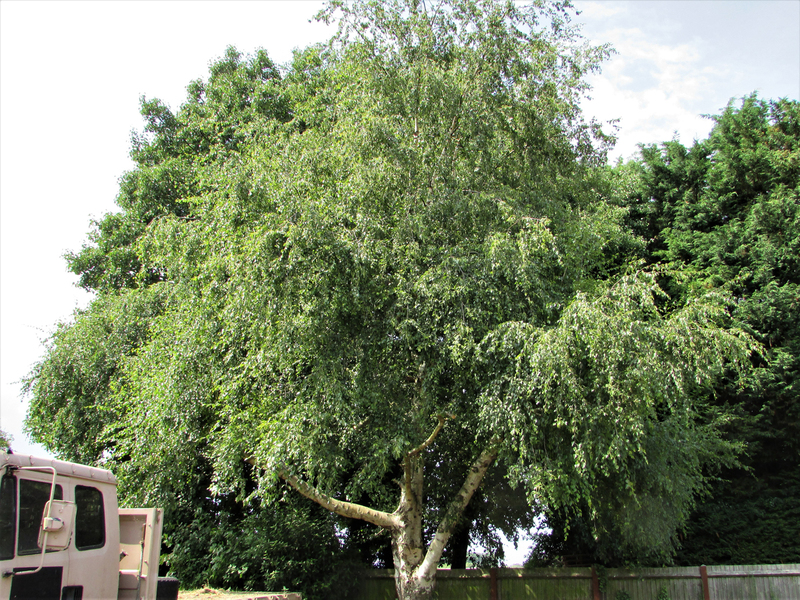 With its distinctive bark it is difficult to confuse the Birch tree with any other. 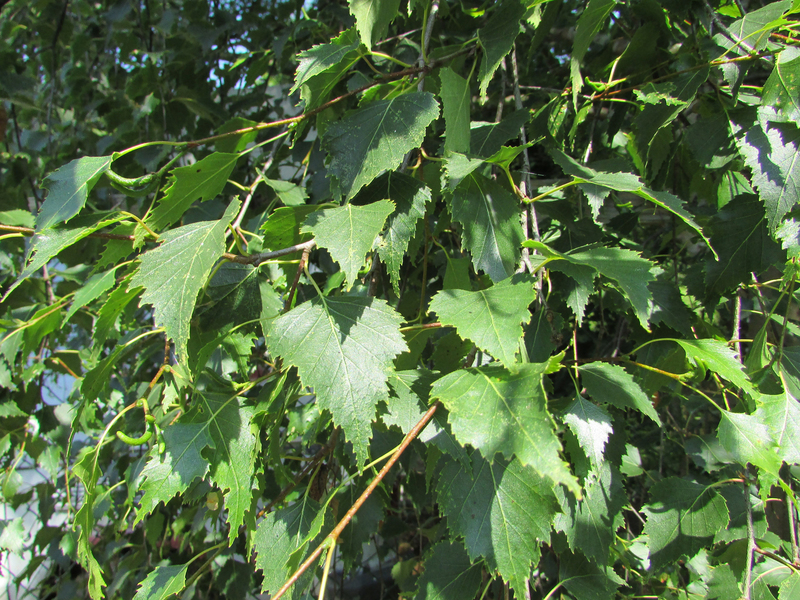 Birch sap is like very slightly sweet (if you think about sugar while drinking it, it helps! 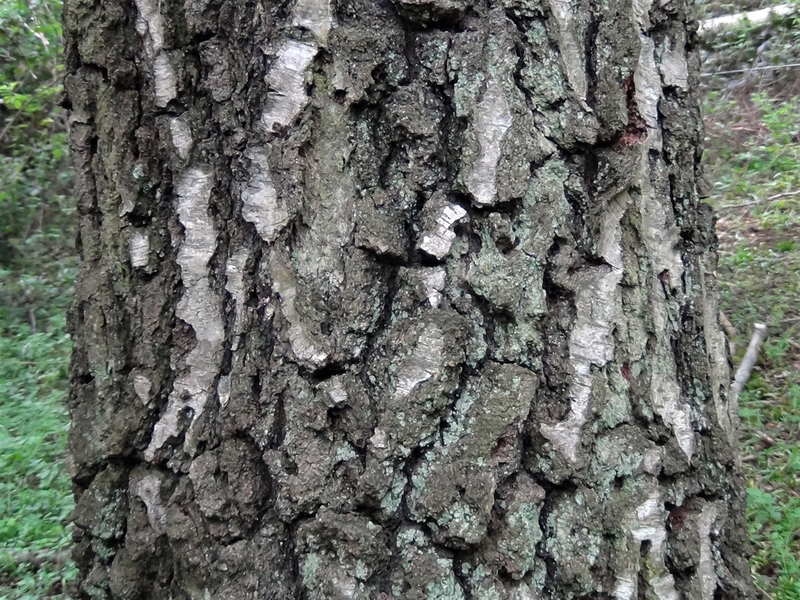 ), pure water. 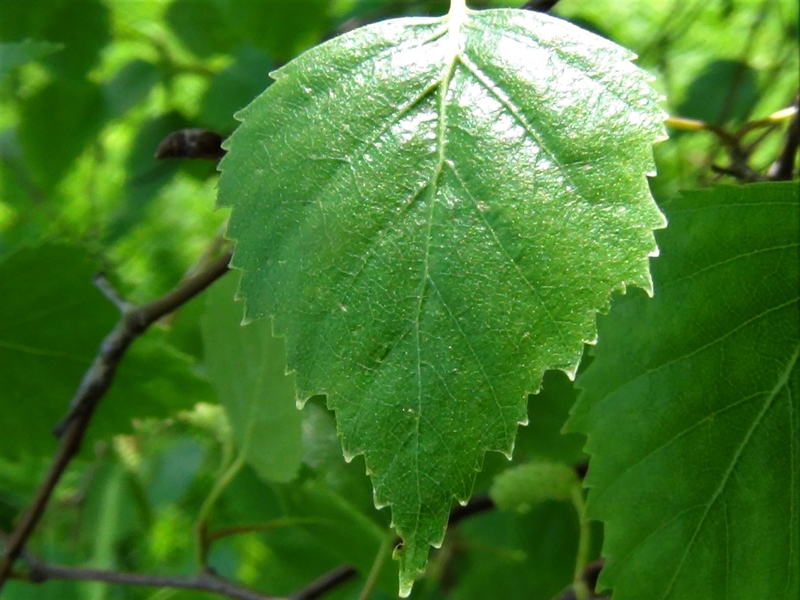 Birch sap can only be collected when the sap is rising in early Spring, usually the first two weeks in March but this varies depending on the weather conditions. 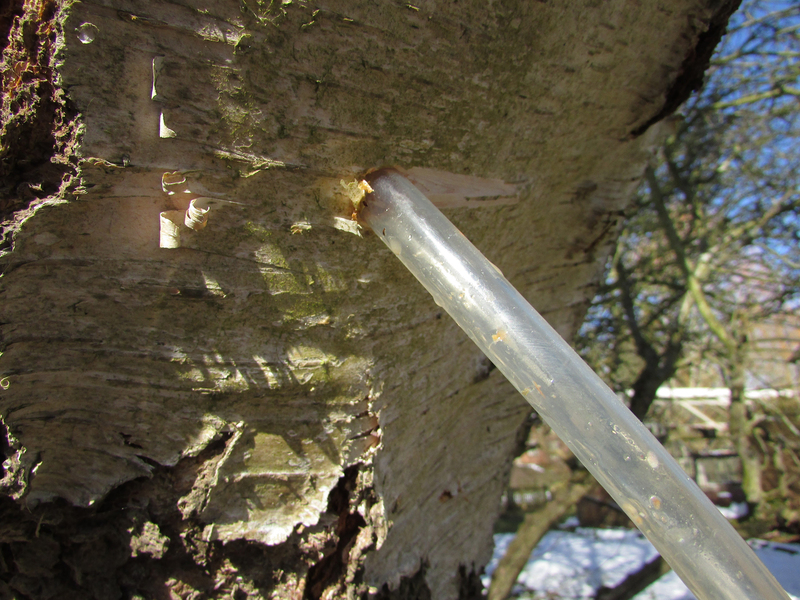 The sap can be collected by drilling a small hole, slightly smaller than the diameter of some plastic tubing, something like 1cm, about two inches into the tree and plugging this with your tube, run this tube into a demijohn or other container and fill any gaps where the tube enters your collecting vessel with some tissue.  Leave for about 12 to 18 hours and collect your prize. 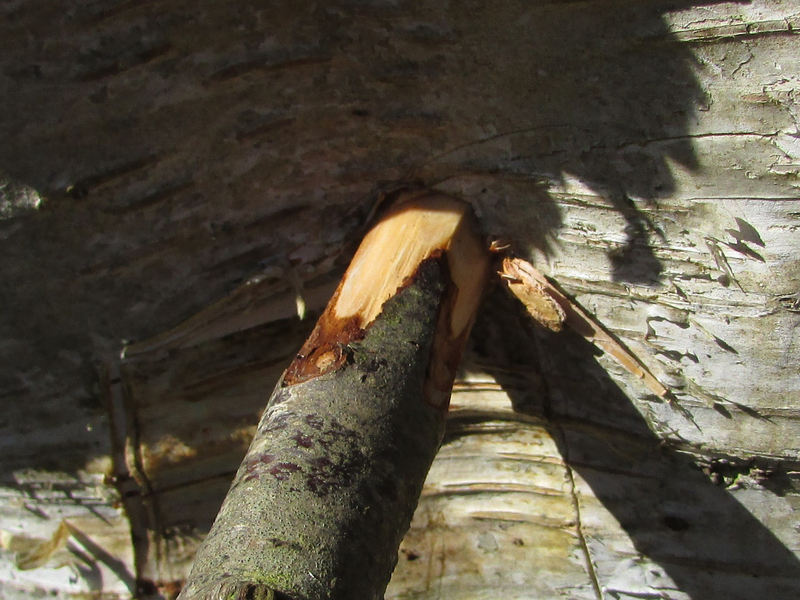 The hole left in the tree must be plugged, preferably with a shaped, dead, offcut from the tree itself, and hammered home to stop the tree getting infected. 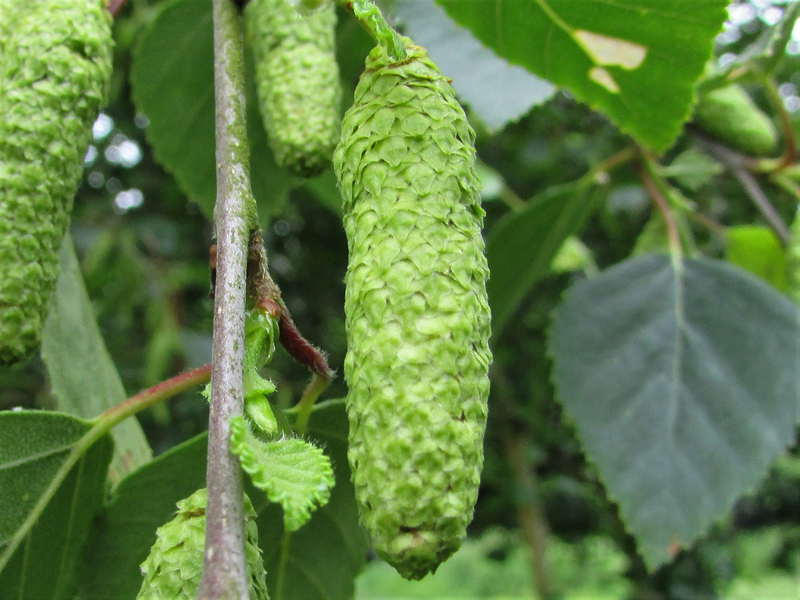 The young twigs of Birch can be used as a flavouring called ‘winter green’ but this is quite bitter and is an aquired taste. 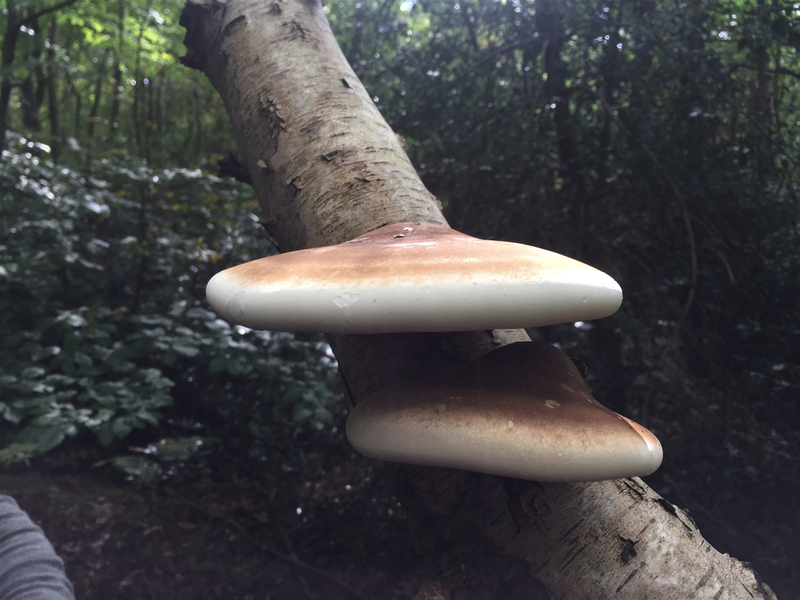 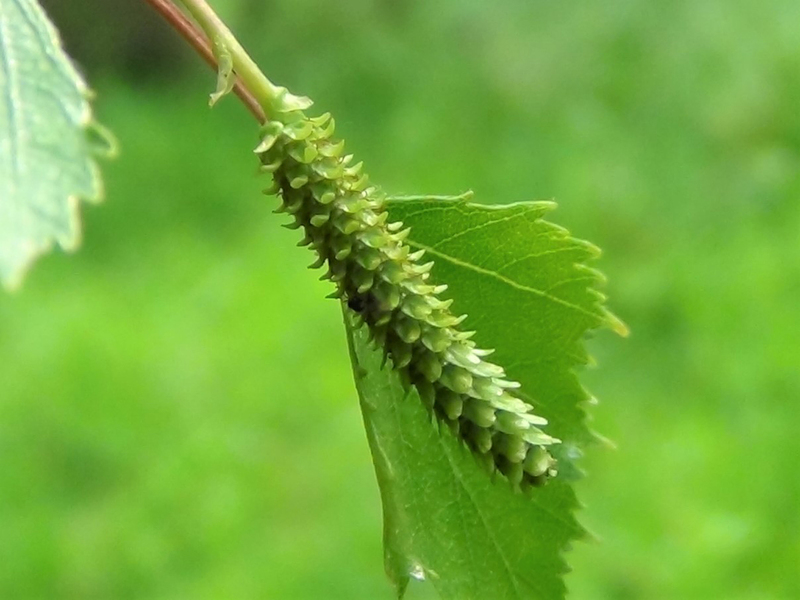 Birch sap contains Betulin and Betulenic acid which are both great at boosting the immune system in humans and tests have found that it can help the immune system recognise cancer cells and destroy them helping in the fight against cancer. 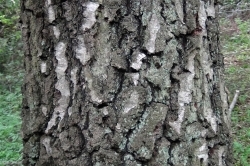 The bark can be soaked in water and formed into a caste for broken bones. 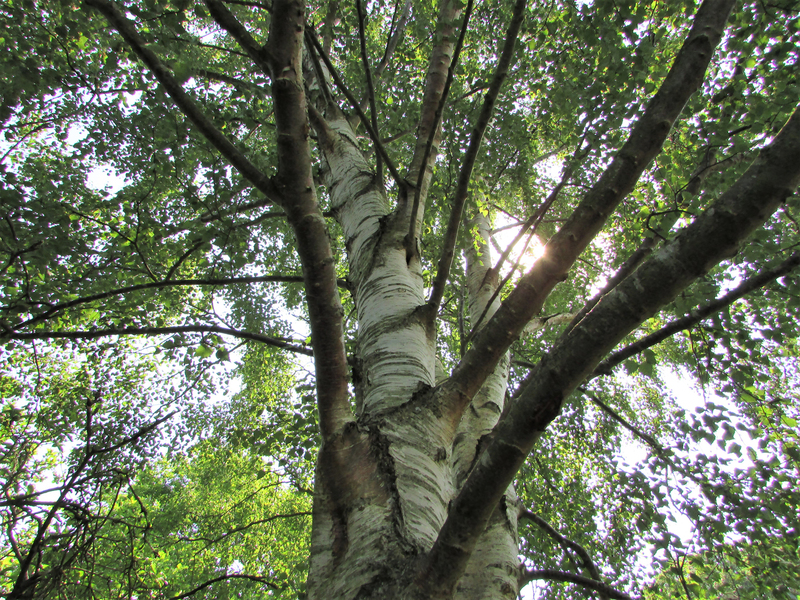 Birch bark has been used over the ages as textiles for clothing, writing upon, cooking vessels, shelter from the elements and even building light weight canoes. 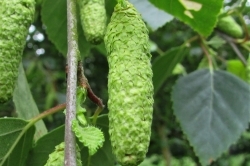 Birch tar or Russian oil can be extracted from birchwood and was used to treat skin conditions, as a waterproofer, as a glue and as a usable oil for running engines. 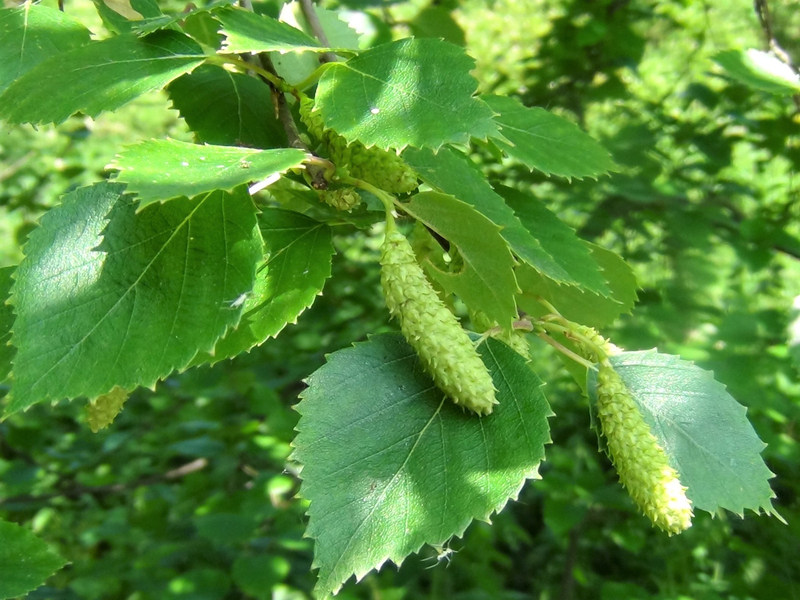 The best speaker cabinets are made from birch as it has a good natural resonance. 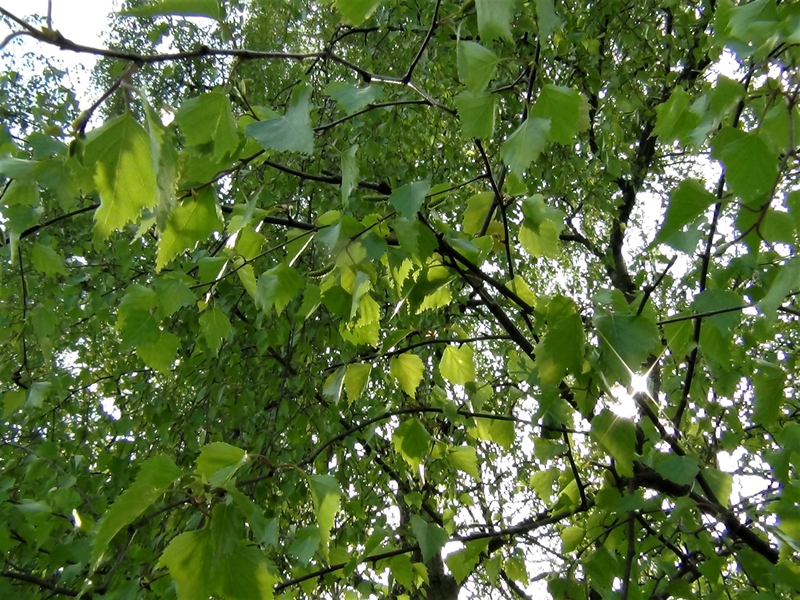 Birch is also a good firewood and will burn when green, the bark is a great tinder and burns very hot.